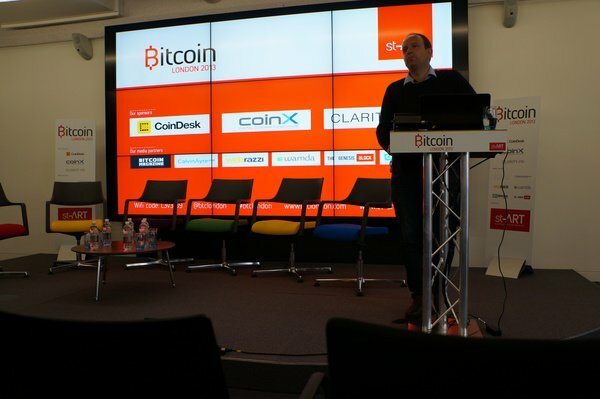 BTC London was a conference quite different from both Bitcoin 2013 and Porcfest. 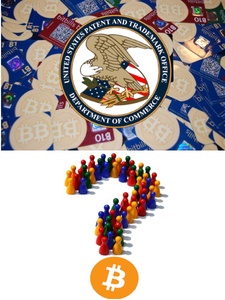 While Bitcoin 2013 was a conference generally intended for fans of Bitcoin in general, and Porcfest an event for libertarians, most of whom were just starting to use Bitcoin, BTC London was targeted to a very specific group of people: wealthy individuals who are already heavily involved in investment or finance, and are interested in Bitcoin businesses as their next investment. The fee for the conference was high, at 250 GBP ($400) for pre-registration and 500 GBP ($800) on-site, a massive figure compared to the $300 for the Bitcoin conference and $75 for Porcfest – even more so since the conference lasted only a single day. But the fee fulfilled its purpose; the only people attending were those with businesses to show, or tens of thousands of dollars to invest in them. Aside from an energetic opening speech from Tuur Demeester and a few spirited remarks by Erik Voorhees, the ideological side of the Bitcoin community was almost entirely lacking; the overarching theme of the conference was an attempt to answer the single question of where the largest opportunities for growth in the Bitcoin space are and how to invest in them. To some, this is a sign of stale government-corporatism creeping its way back in as usual, and will lead to Bitcoin becoming little more than another PayPal; to others, it is an inevitable sign, and precondition, of genuine progress. What was perhaps the most impressive aspect of the conference was the sheer number of start-ups that were present there. An entire two presentations were simply panel discussions with five start-up owners each talking about their businesses; wallets, exchanges and mining firms of various sorts (as well as Icelandic data centers to host them) all played their part. There was also a large media presence featuring both major Bitcoin-related news sources (including Bitcoin Magazine ourselves) and outside reporters from, among others, the Financial Times and TechCrunch. BridgeWalker is a Bitcoin wallet which integrates a Bitcoin exchange behind the scenes, allowing users to make and receive Bitcoin payments while still keeping their balance constant in the fiat currency of their choice. To pay for the cost of the exchange trades, Bridgewalker charges a fee of 0.75% per transaction, which will go down as the service becomes more popular and volume increases. Hive is a Bitcoin Wallet that attempts to take the idea of being designed with ease of use in mind one step further. Rather than thinking of how a Bitcoin transaction works from a technical standpoint and trying to create the best possible interface to express the various details, Hive’s design started by creating the interface first and fitting Bitcoin in later. In the words of its founder, Wendell Davis, “I asked the graphic designer to make a payment application that would be easy to use and we would fit the Bitcoin in later. He barely knew what Bitcoin was, and this is what he came up with.” The result: an application which allows you to select people to pay to simply by clicking on their faces in a contacts screen, and for which one can build “Bitcoin apps” like BitcoinStore and SatoshiDice. Bex.io is a company based in Vancouver that seeks to do the same thing that BTCGlobal is: commoditize the BItcoin exchange. The company’s ultimate vision is that they would handle all of the aspects of Bitcoin exchange that are easy to replicate, of which the trading engine and security is the largest, and first, step, and leave it to exchanges to attract customers and interact with local banking and regulatory systems. The trading engines will be run on Bex’s servers in-house, and exchanges will be able to interface with it via an API. Bex will also include a system for clearing buy and sell orders between multiple exchanges using their platform (at least within the same currency), and will eventually include a colored coins-based system for keeping track of fiat balances. Bex’s service is expected to come online at some point this fall. MetalAir is a company seeking to create a decentralized Bitcoin exchange. The process of buying and selling will roughly work as follows: first the Bitcoin seller makes a transaction sending the bitcoins to a 2-of-3 multisignature address between himself, the buyer and an escrow agent. Then, the buyer sends the fiat directly to the seller by bank wire or whatever other mechanism. Finally, the buyer and the seller – or, if necessary, the buyer and the escrow agent, sign a transaction to transfer the bitcoins from the multisignature address to the buyer. MetalAir themselves will be an escrow agent, but theoretically anyone with a reputation could be. MetalAir will also support cryptocurrency-to-cryptocurrency exchange with a higher guarantee of security, as both sides of the exchange could be done via multisignature transactions. CoinX is an exchange created by Megan Burton with the intent of being enterprise-ready, security and compliance and all, right from the start. The exchange will offer a fee structure biased in favor of liquidity providers in order to encourage stability, two redundant servers to guarantee uptime, and is heavily focused on being compliant with money transmitter regulations in all of the states that have the relevant regulation. The exchange will open around the end of July. MiiCard is a platform that intends to replace expensive and privacy-eroding photo identity checks with a much simpler means of customer verification. Customers of exchanges would verify themselves by logging in with their MiiCard, and the MiiCard itself verifies users by checking that they have a verified bank account. The bank account itself presumably exists only if the bank verified the customer’s identity through photo ID. It turns out that under current US law this is legal; federal rule 103.121 (ii) b. allows “verification through non-documentary methods” that “may include contacting a customer, independently verifying the customer’s identity through the comparison of information obtained from a consumer reporting agency, public database or other source, checking references with other financial institutions, and obtaining a financial statement.” MiiCard ensures that the customer has a relationship with another financial institution and acts as this “other source”. Kipochi is a feature phone (or “dumb phone”) compatible Bitcoin wallet intended for customers around the world, allowing them to send and receive bitcoins with nothing but a mobile phone connection. The wallet will be heavily marketed to users in Africa and particularly Kenya; a major use case, founder Pelle Braendgaard believes, will be sending money out of the country. Although we often think of Kenya as simply being part of Africa, the poor continent to which remittances are sent, in reality it is one of the more developed countries in the region, and many people go to Kenya due to the better economic prospects there and then send money back to their families. Two weeks ago, Kipochi introduced a feature that allows users to exchange money in M-Pesa, a popular mobile banking system in Kenya, for bitcoins. There were also a few major announcements at the conference. OpenCoin’s Stefan Thomas announced that the Ripple client now has a built-in feature that allows users to send money directly to a Bitcoin address. From the Bitcoin Foundation, Peter Vessenes made two announcements. First, he will soon be stepping down from his role in the foundation. Second, the foundation aims to expand internationally, and is looking for people who wish to set up local chapters of the foundation. The way the relationship would work is that the local chapter would help raise funds for its parent organization, and would gain access to the larger organization’s brand and support in exchange. The next Bitcoin conference to take place is MediaBistro’s Inside Bitcoins conference in New York City on July 30; this will once again be a one-day event heavily focused on the investment community, although this time it will be the investment community in New York City rather than London (although Bitcoiners will, as usual, come from all over the world). The one large conference remaining this year will be unSYSTEM, taking place in Vienna this November. See you at the next few conferences!